Mascot Label Group are thrilled to announce that the Kris Barras Band have joined the Provogue label to sit at home amongst some of the finest modern blues icons such as Joe Bonamassa, Beth Hart, Kenny Wayne Shepherd, Jonny Lang, Walter Trout, Eric Gales, Sonny Landreth, Gary Hoey and more. 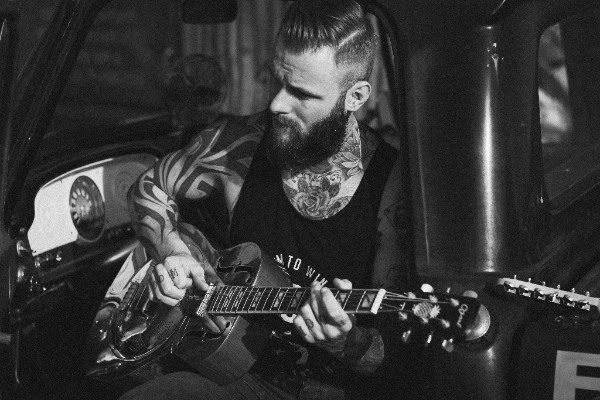 The Devonshire born blues-rock guitar-slinger Kris Barras has built a fearsome live reputation across Europe through solid touring and the release of 2016s stellar full length debut ‘Lucky 13’ which has seen him battle his way to the front of the British blues-rock pack. 2017 saw him step up and step out to play in front of huge crowds at RAWA Blues Festival (Poland) and an incredible performance at Ramblin’ Man Fair (UK), but these crowds hold no fear for the former Mixed Martial Artist who has fought across the world including in Thailand, Las Vegas and in Singapore, where he fought in front of 8000 people, winning 14 out of 17 professional fights. Inspired by his father at the early age of six years-old, Kris was already making an appearance on stage before turning ten. He has since gone on to spend more than twenty years thrilling audiences throughout the globe playing live.